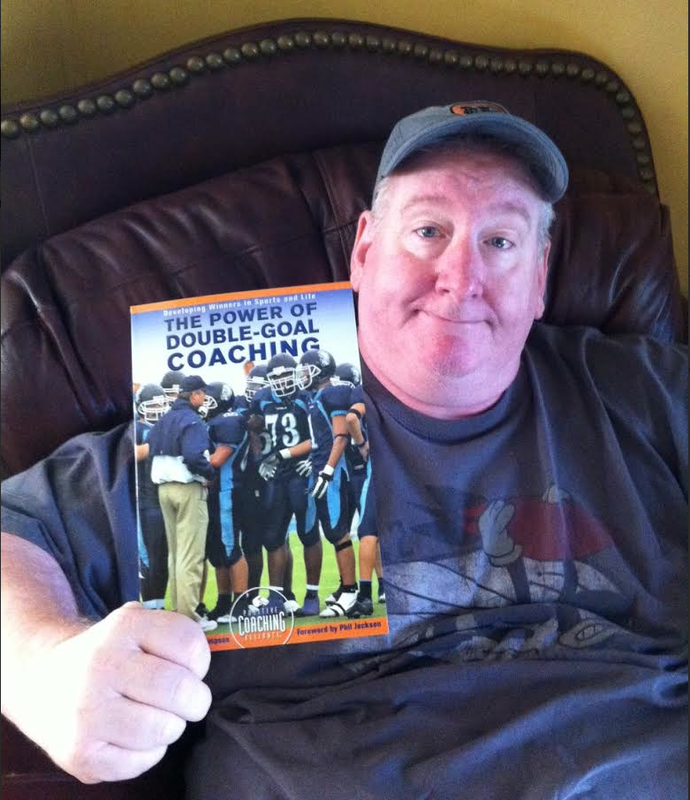 So Dave is moving forward in his new Assistant Football Coaching career, as you can see. 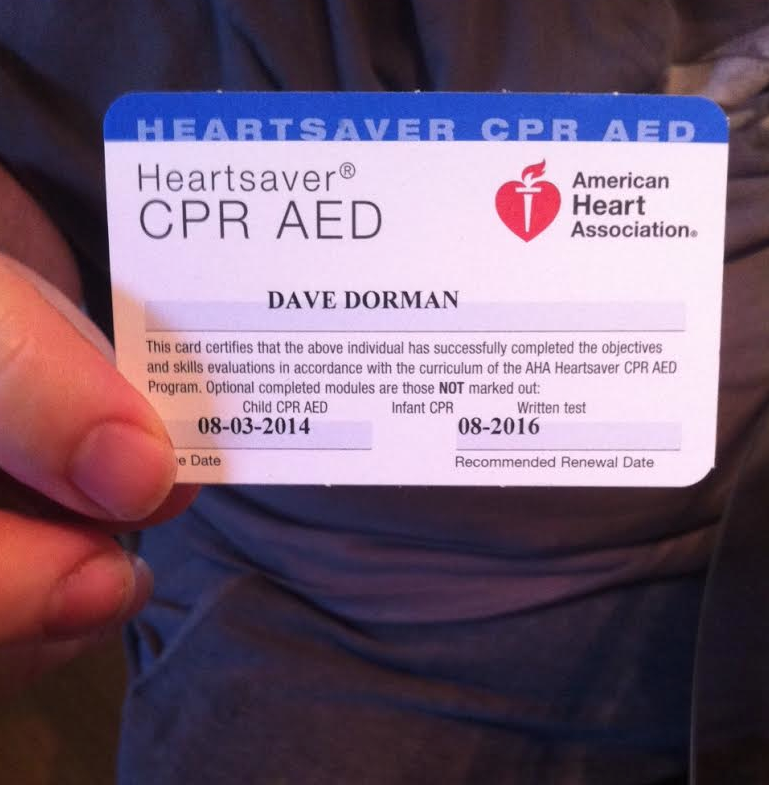 He’s now officially certified to identify a concussion and give CPR, which might someday come in handy for the Hall H line at #SDCC. He ignored my suggestion to French kiss the Resuscitation Annie model and freak out the instructors, muttering something about them no longer doing the whole mouth-to-mouth thing. Dave’s vast football knowledge actually came in handy for me this week. I was writing a client radio ad to run during Auburn and Crimson Tide games, and my fast internet search wasn’t terribly forthcoming with whether a quarterback played offense or defense. And of course, my ADD brain simply turns off anything I find uninteresting. Like football. I wonder if tennis coaches are required to have concussion and CPR training? Posted on August 15, 2014 by DaveandDeniseDorman	• This entry was posted in Geek Culture and tagged Auburn, Crimson Tide, Football, Hall H, San Diego Comic-Con. Bookmark the permalink.